Alternatively, if you would like to contact us we have two methods. As an online company the quickest way to contact us is to use one of the two methods below. Have a member of our team talk to you through our "Live Chat" service! Our friendly and helpful staff will help deal with any queries you may have. 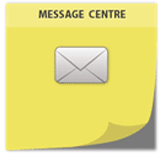 You can use our online form to send us your iMessage and we will get back to you as quickly as possible. Please note that any adjustments to your policy, new business or renewals processed over the phone will be subject to an additional €10 charge.